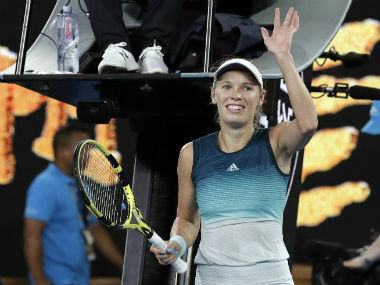 Tokyo: Defending champion Caroline Wozniacki clawed her way into the Pan Pacific Open quarter-finals on Thursday, narrowly avoiding the fate fourth seed Johanna Konta earlier suffered in Tokyo. Former World No 1 Wozniacki recovered from a break down in the final set to beat American Shelby Rogers 4-6, 6-1, 6-4 after finding her mojo just in time. Rogers had no answer to Wozniacki's unerring accuracy thereafter and the World No 6 finished her off with a looping forehand the American could only dump into the net. Britain's World No 7 committed 43 unforced errors and squandered a 4-2 lead in the first set against Strycova, who came into the match 18 places below Konta in the WTA rankings. Konta also blew several chances in the second, particularly in the tiebreak, which she surrendered 7-5 after whiffing another forehand wastefully long to give Strycova her first win over a top-10 opponent this year. "I definitely wasn't as match-fit as I would've liked," said Konta. "But for my first match in the last few weeks, I don't think I did that badly." 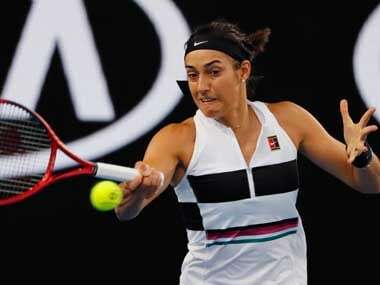 Elsewhere, ninth seed Caroline Garcia safely advanced, the Frenchwoman thrashing Japan's Kurumi Nara 6-1, 6-3 to set up a quarter-final with top seed Garbine Muguruza. The Spaniard is playing her first tournament since reaching the top of the women's world rankings.